Updated Friday July 20, 2018 by Greenbelt Registrar. Cheerleading is open to girls between the ages of 3 and 18. SIDELINE: ​Sideline cheerleaders will practice 1-2 times per week and cheer for ALL home football/basketball games. MUST cheer for one sport of their choice (football/basketball). Practice 3 times per week with possible additional practices. The Greenbelt BGC Cheer program promotes the sport and discipline of cheerleading by teaching the cheerleaders the basic fundamentals of cheerleading during practice, performances, and competition. 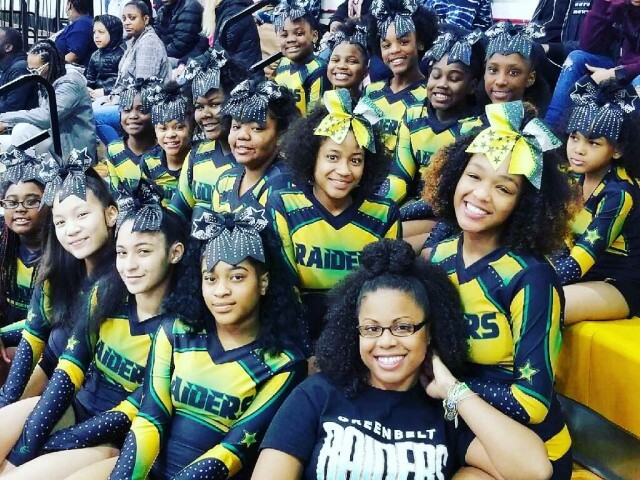 Our focus will be on teaching proper cheerleading techniques, reinforcing the concepts of teamwork and discipline, positive attitude and most importantly having fun.